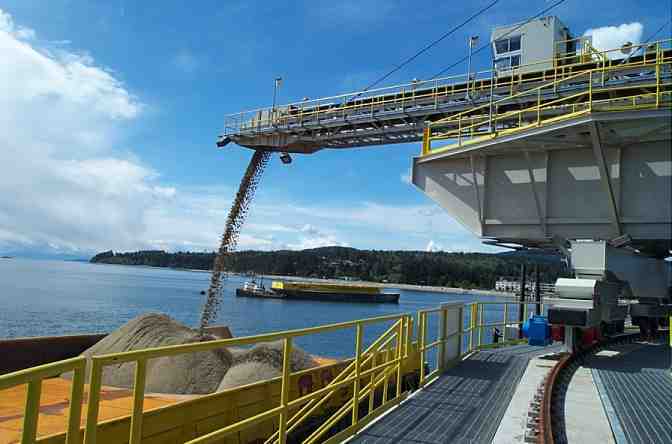 CSL Sheila Ann being loaded with aggregate by the newly installed ship loader. 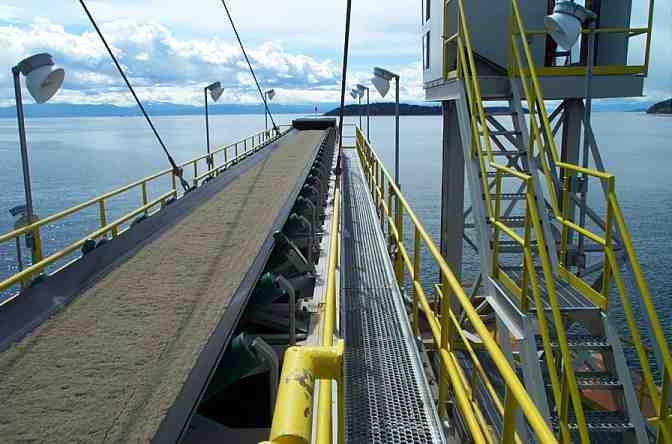 Seabulk has designed and built a new deep sea berth and ship loader for the export of construction aggregate at Sechelt, B.C. 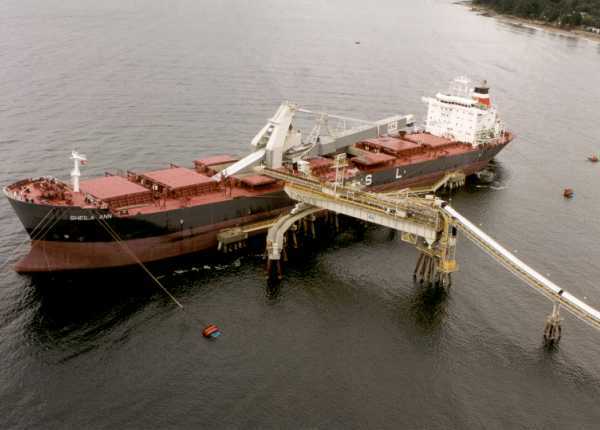 The new terminal will allow for the loading of vessels from barges to Panamax sized ships at a rate of 4000 tonnes / hour. 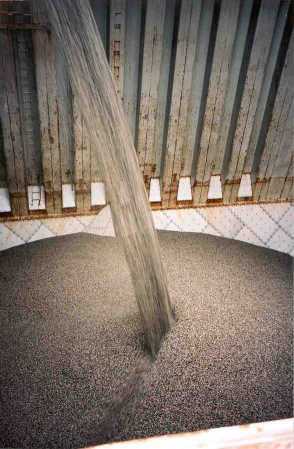 Sand be carried on the boom loading a barge. 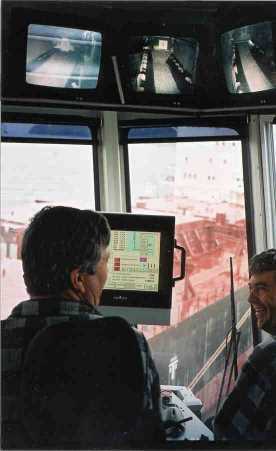 A view of the operator's cab.